We seem to be bad weather magnets. 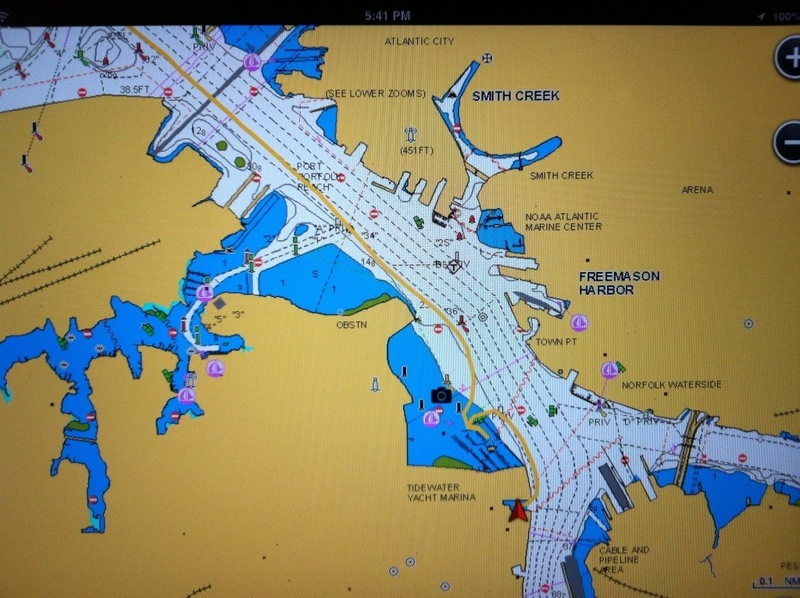 We made it safely to Portsmouth, VA, ahead of a storm system and the storm did move a little off the coast here, but still, we’re glad to be tied to a dock and don’t have to endure a frigid dinghy ride to get anywhere. 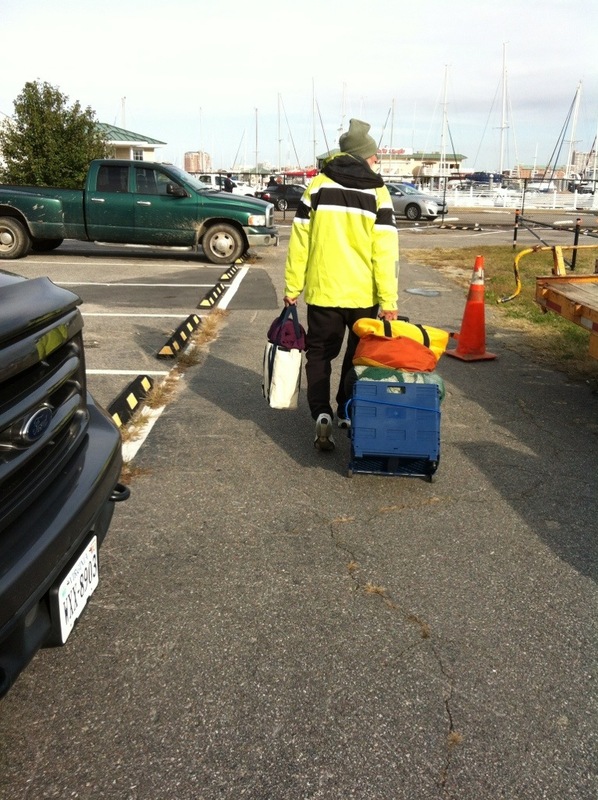 We paid a fee to the marina down the street for the privilege of using their showers and laundry facilities. What a pleasure to stand under hot water for a while and scrub away, not to mention getting four loads of laundry washed and dried. 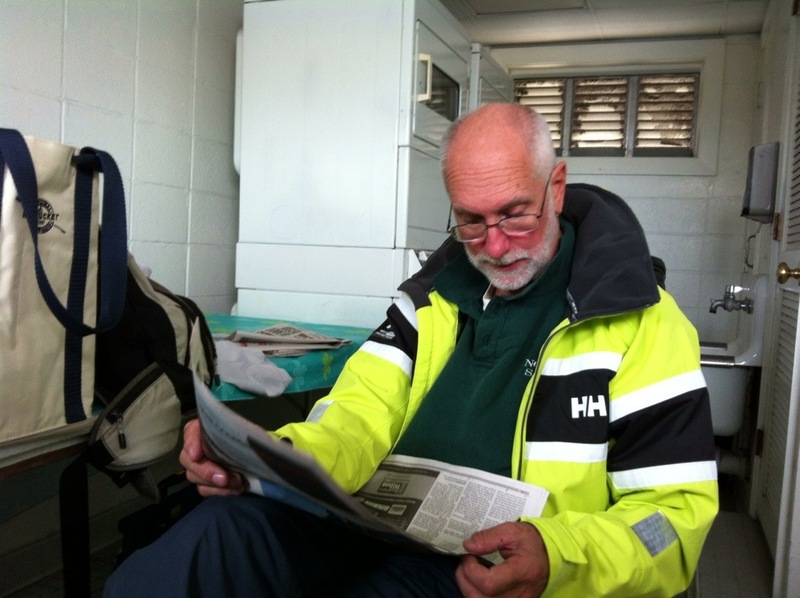 We met Alan for coffee in town and did a reconnaissance lap around Old Town Portsmouth to find a place to watch election results Tuesday evening. 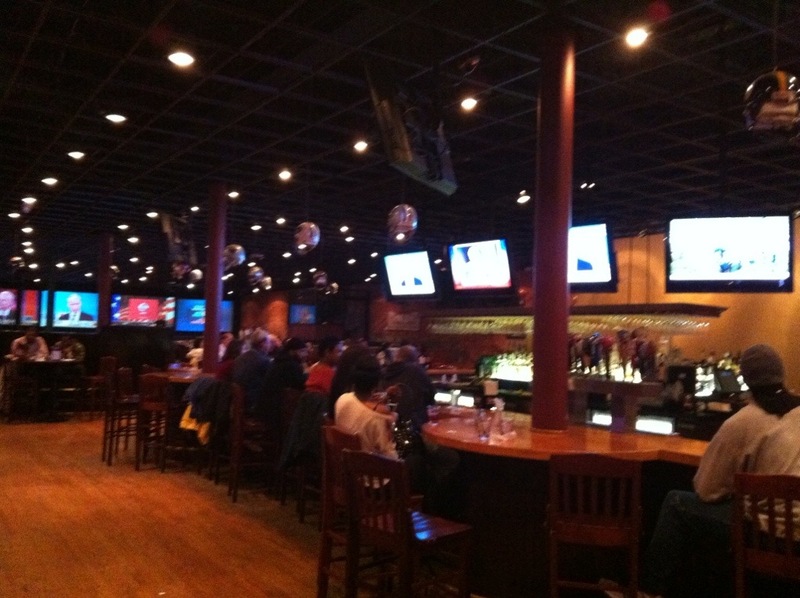 We settled on Roger Brown’s Sports Bar and it turned out to be an excellent choice. We asked for a table with a good view of the screens and it turns out every table is nearly perfect. This place must be awesome on game days. 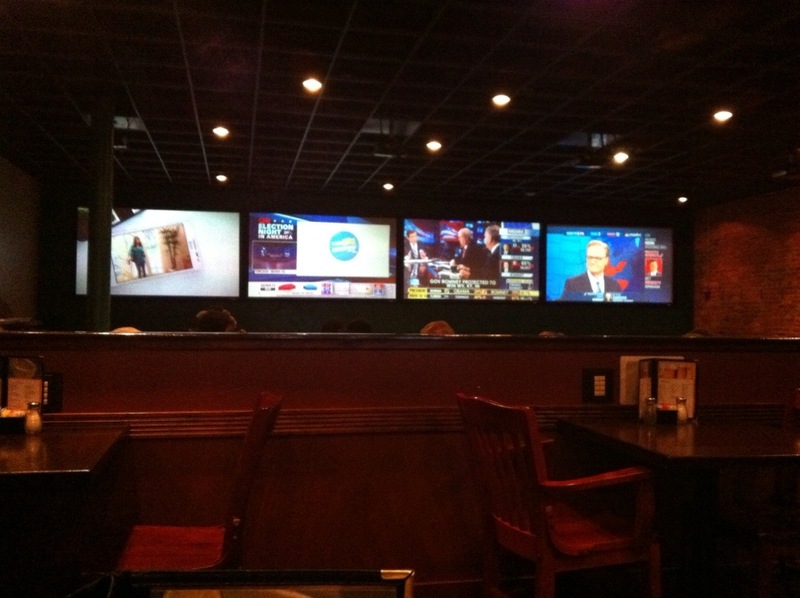 We got a booth in full view of four giant screens showing FOX, CNN, NBC and MSNBC. 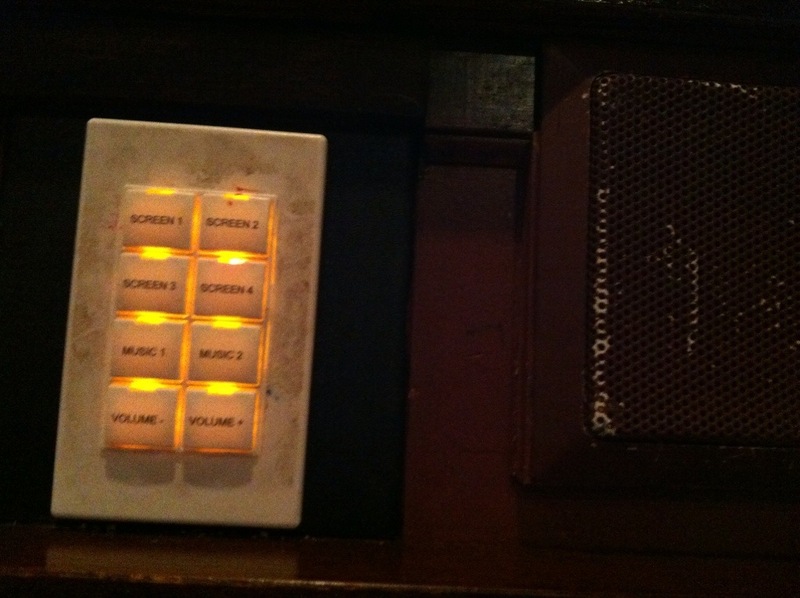 There was a speaker in the booth, and a bank of switches to select the audio feed and control the volume. This was even better than watching at home! 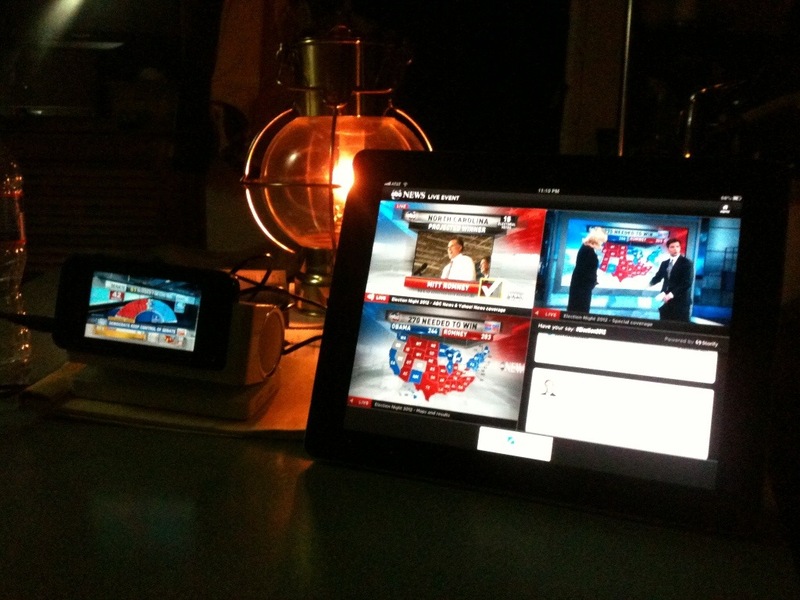 We’ve rarely had so much fun watching election returns. Whenever one of the networks would call a state a cheer went up in the bar. 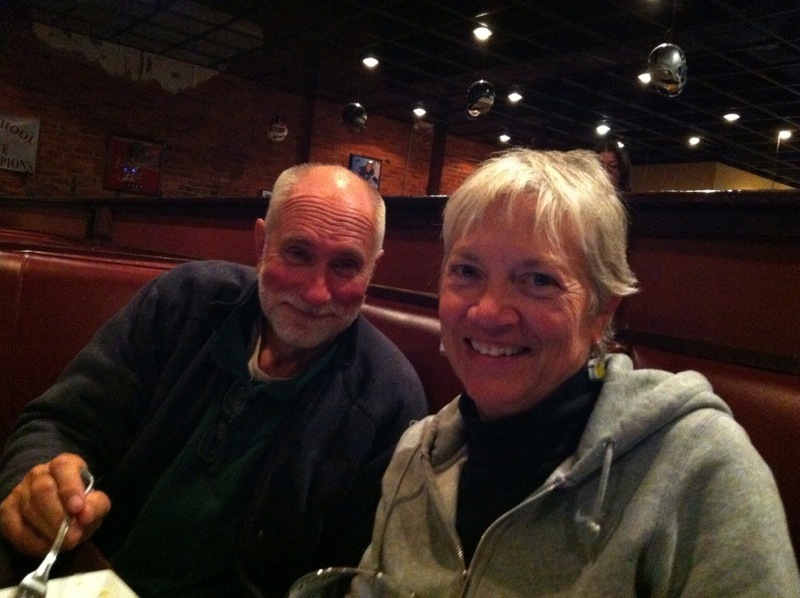 We were surprised and delighted that it seemed most of the patrons shared our political bent. We expected to be the odd men out but we weren’t. At 10 o’clock we came home and set up our own media wall using a phone, the iPad and an excellent Internet connection courtesy of a nearby hotel. We stayed up way past our bedtime and we’re taking it easy today.